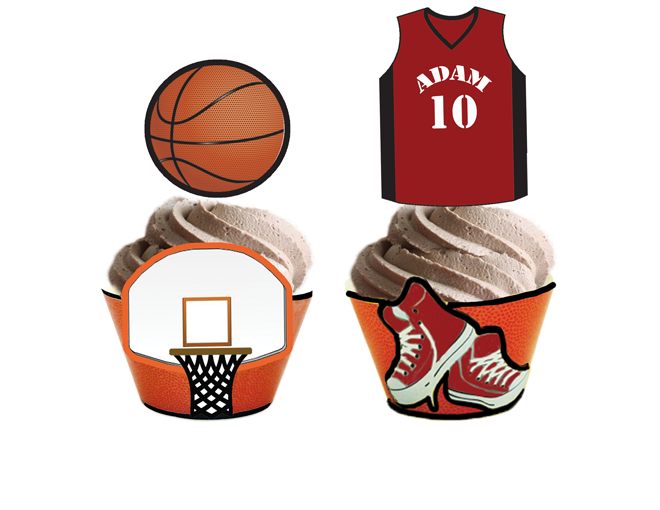 It’s time for a Basketball Party! 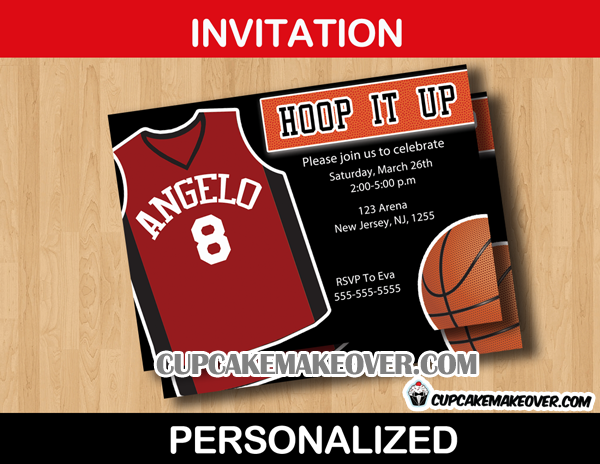 Celebrate your son’s birthday with some hoops starting with this cool basketball party invitation. 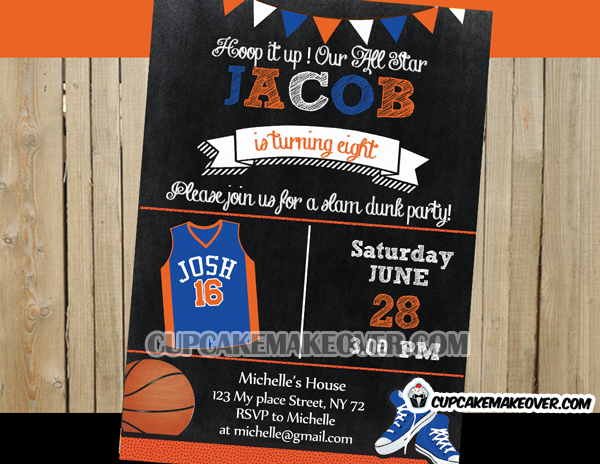 This custom birthday invite features a basket ball and a jersey personalized with your child’s name and age on a black chalkboard background. 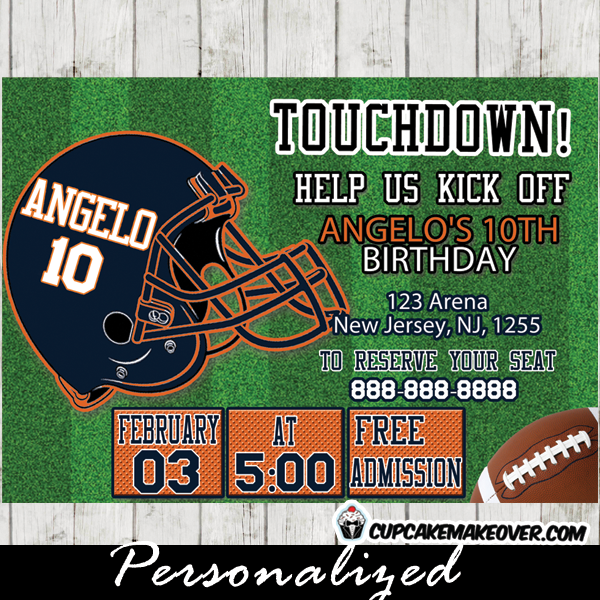 They jersey color scheme can also reflect your favorite team if you wish!